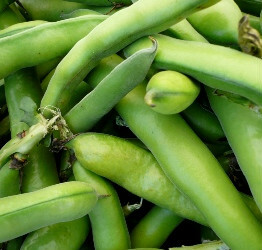 Also called English bean, Windsor bean and horse bean, good-quality fava beans will be firm, smooth-skinned and very pale to medium green in color. The tough skin must be peeled and discarded. Use cooked or raw in salads or with dip.